as it has been a year since I attended my first knitting retreat and I just returned from my third. 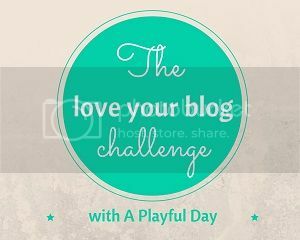 So it seems rather fitting that the kickoff prompt for A Playful Day's Love Your Blog Challenge is Interactions and Community. If you have not heard of it, every Monday in April she will be posting a prompt to inspire fresh blog content, and as Monday is one of my regular blog days, it just seemed to fit. To say that the knitting community saved my life is only a bit of an understatement. Unlike so many, I learned to knit in a vacuum. I picked up needles and yarn as a way to keep myself from pulling my fingernails out one winter break in college. My community was the geeky podcasting world, in which I was heavily immersed but which always made me feel inadequate. It was not until a fellow podcaster mentioned Ravelry that I even realized that other knitters were online. I signed up, waited for my invite email (remember those?) and then fell down the rabbit hole. I started listening to podcasts, reading books, and then finally found knitting blogs. It was through knitting blogs and podcasts that I realized knitters are almost always amazing individuals. For the longest time my interaction with them was small -- just a Ravelry post here, blog comment there. Enough to generate some reciprocal traffic to my own blog, but nothing big. Then I spent one of the most miserable summers of my life in Pittsburgh, where the only thing that kept me going was this community. For eight weeks I was alone in a city I had never visited, studying a subject I could not wrap my head around. My salvation was the group of crocheters who took me in as one of their own every Saturday. All summer long I would save my pennies so that I could buy a coffee on Saturday afternoon and hang out with a group of women I had never met. I saw their posting for a Knit in Public Day event and took a leap of faith to join them. They welcomed me with open arms and served as my support system for the rest of the summer. I have had other times of struggle, and the knitting community has always gotten me through. Whether it is a shoulder to lean on, a blog post to make me laugh, or an instagram comment to boost my spirits. And I've tried to mirror that care, sending positive and loving thoughts back out into our little world. One thing that always carries through is that no matter what different circumstances, personalities, or experiences we bring to the table, there is always room for more. Maybe you are reading this and you aren't quite as plugged in as you want to be. Please don't be shy. We would love to chat with you.